Comment: I have a 13 year old DECRA roof that displays some hail denting which I really don't care about, but I'm curious if the roof is structurally sound. Comment: I would first like to get an audit, i.e. check to see if we are leaking heat/cool air from the house. I want to reduce drafts and keep hot air in during the winter and cold air in during the summer. Comment: Seeing water stains in our ceiling upstairs. Also water is leaking through our kitchen window today. Comment: I am actually looking for a company to come inspect the roof that was installed approximately six months ago that has started leaking , thank you so much for your assistance greatly appreciated and needed . Comment: Wondering if there are any major and or minor issues with my home that I need to address. Littleton Home Inspectors are rated 4.82 out of 5 based on 2,155 reviews of 124 pros. 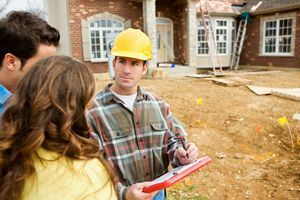 Not Looking for Home Inspection Contractors in Littleton, CO?